Safety and design has to go hand in hand. 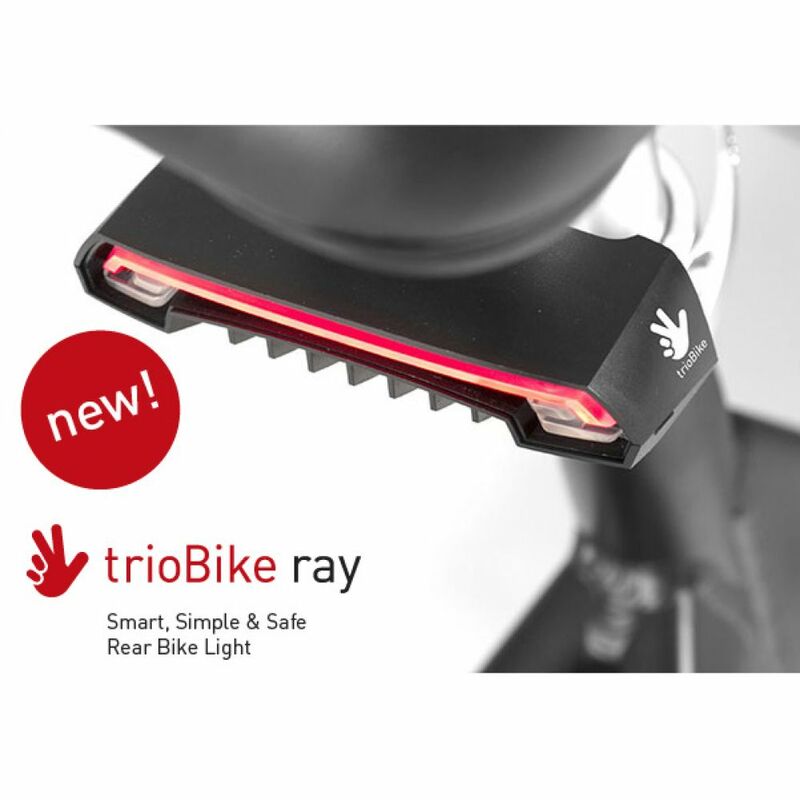 Following our philosophy, we developed a new bicycle light: trioBike ray. 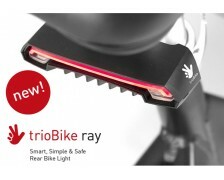 trioBike ray is a multi-functional bicycle light that is easily operated by a wireless control installed on the handlebar. Beside the standard rear red light, we added turn indicators and laser lights. The lasers project a virtual box on to the bike lane, offering a great safety measure for cycling at nighttime. This product is equipped with the environmental light detection function, which switches OFF the light in the daytime and automatically switches back ON when it becomes dark.